Adapted photo from the original: Carl Guderian. Articles and other types of documents published by journals may contain inaccuracies that have not been detected in the evaluation and editorial process and are revealed after publication. In these cases, the system of scientific communication standards and control mechanisms that ensures the correctness and completeness of the research and its communication has two main procedures for rectification according to the type, severity and implications of the incorrectness detected. The first is the publication of an erratum (or corrigendum), which recognizes one or more errors and corrects them, so that the document, corrected, remains active. The second is to publish a retraction, which recognizes one or more involuntary or intentional inaccuracies, such as the occurrence of plagiarism, use of inadequate methodology, presentation of manufactured, manipulated or irreproducible data or images, that invalidate the conclusions. Retraction almost always invalidates the article. Both procedures take place with the publication of a new document, classified as erratum or retraction, which registers the correction of the error or the reason for the article’s retraction always referring to the original. This new document has its own identity and follows with the same indexing of the original article. 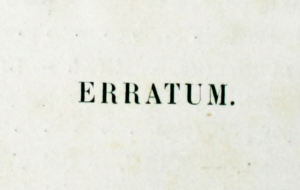 In the case of errata, the original document is maintained and at the end of it, the correction is registered referring to the document that published the erratum. In case of retractions, the original document is replaced by a message stating that it has been retracted, referring to the retraction document. In case of a retraction, the original document is replaced by a new text indicating that it has been retracted and a link points to the retraction document. Every time the article is retrieved by a search the results will show two records, one that indicates that the article has been corrected or retracted and another on the article itself either in the corrected version or the retracted version. If additionally the article is indexed in other indexes, such as WoS and PubMed for example, this double register will be repeated in each index. 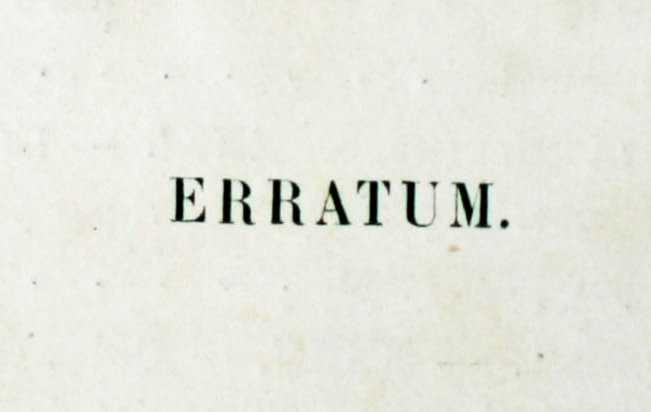 Errata and retractions are initiated by one or more authors of the article or by the journal editor. It is the editor’s prerogative to inform SciELO and other indexes on the retraction. When there is suspicion about an article that may lead to its retraction, but the editor wishes to gather more evidence, an expression of concern may be published informing about the suspicion. The procedure for publishing an expression of concern is similar to that of an erratum, but the original article is still available containing the expression of concern information at the end of the text. If the suspicion is not confirmed and the retraction is not published, the expression of concern document and the information at the end of the original article are withdrawn from the journal. In late-May 2015 the SciELO Program published the updated guide to publishing erratum, retraction and expression of concern. The SciELO guide is based on guidelines and recommendations from the Committee on Publication Ethics (COPE), the International Committee of Medical Journal Editors (ICMJE) and the National Library of Medicine (NLM).